"Some customers are having difficulty shopping, and we're working to resolve this issue quickly. Many are shopping successfully - in the first hour of Prime Day in the U.S., customers have ordered more items compared to the first hour last year. There are hundreds of thousands of deals to come and more than 34 hours to shop Prime Day." Sellers discussing problem noted that Seller Central is buggy in addition to problems on the main site, including the broken search function. One wag said Amazon should suspend itself, since "they were informed of this sale since a long time and were sent many emails on how to maintain their metrics," echoing the notices Amazon sends to sellers when they experience problems. We were able to get to Amazon.com, which featured Prime Day deals, but entering a search term resulted in a message, "Sorry, something went wrong on our end. 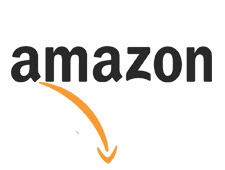 Please go back and try again or go to Amazon's home page." Let us know if you're experiencing problems or if you're able to search and make purchases today. Update 7/16/18 7:50 pm: Search still not working, but omeone is having fun, anyway. Amazon displays a picture of a dog when it brings back an error page, and some are playing blackout bingo - see this tweet. Update 7/16/18 9:55 pm: Search is now working for us, Amazon has not updated via Twitter. Never seen so many dog puns (who let the dogs out; the dog days of summer; Amazon has gone to the dogs...). Well we have spent a lot of money on Amazon today without a problem. Site is just a tad slower than usual. If Fleecebay had this many people looking at their site it would flat crash and CS would tell you nothing is wrong. NOTHING but problems! stuff currently advertised as being one of the 'fabulous prime deal'..... all sold out. try to search for anything random, not even related to prime day "oops! something went wrong. go back to home page and repeat exercise in futility!" and THIS debacle is going to make me want to be a prime member? THIS situation is going to convince me that the hike in the prime price makes everything 'worth it'? Hit Hard? Really O.K., they will end up with record sales in the end, and Ebay will just end! It is just a Traffic issue on Amazon, that they will quickly resolve with all their server farms, Ebay is full of issues with Zero traffic! The difference is Amazons servers crash because people are trying to buy something, on eBay they crash even when no one is buying anything! What I've read on the subject is that the problems started when they launched today. At least that was what the article said that I read. Nothing new, to be expected. It's happened to AMZ before.